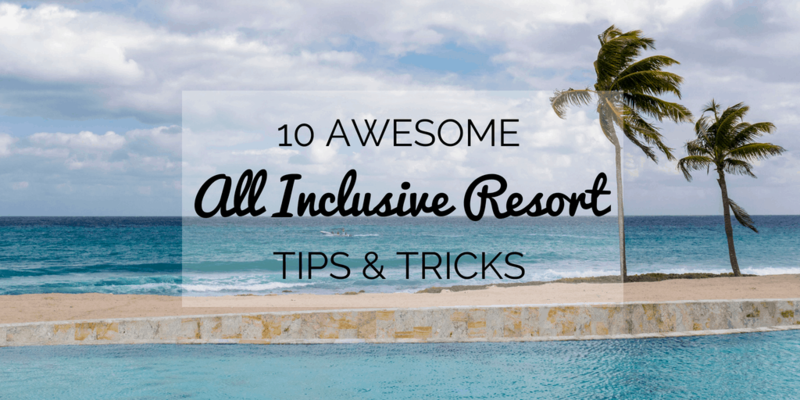 Here are 10 all inclusive resort tips and tricks to have an amazing vacation. Have you ever taken a vacation at an all inclusive resort? While I can’t say it is my preferred way to take a holiday, I was introduced to the idea of resorts by Justin and I’ve really come around to them. I’m usually the type of person who is always on the go, the idea of a resort really encourages you to relax. It’s all about enjoying luxurious surroundings, participating in resort activities, and eating/drinking as much as you’d like. The biggest decision of the day is whether to go to the beach or the pool. It’s pretty blissful just living in the moment, without a care in the world. 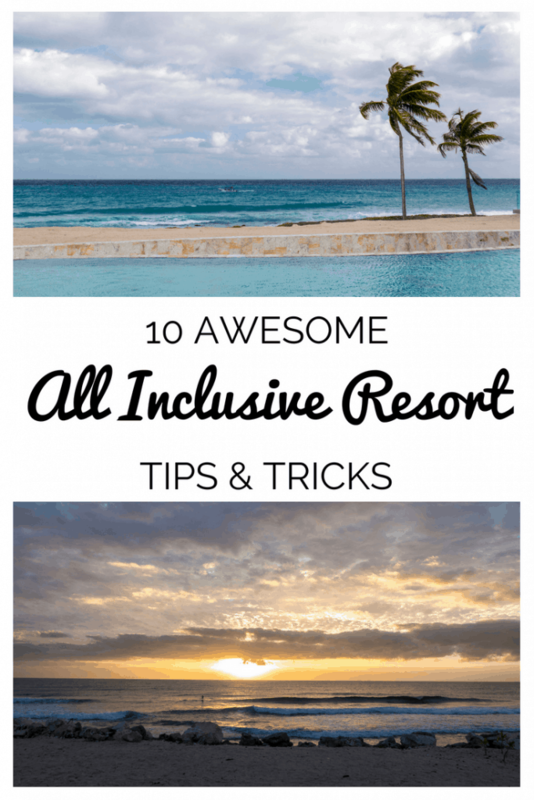 However, there are quite a few all inclusive resort tips and tricks I’ve gathered after visiting a few of them. Don’t go to a resort completely unprepared. Here are 10 ways to make the most of your all resort vacation. Before you go, definitely do your research to find the best cheap holidays online. 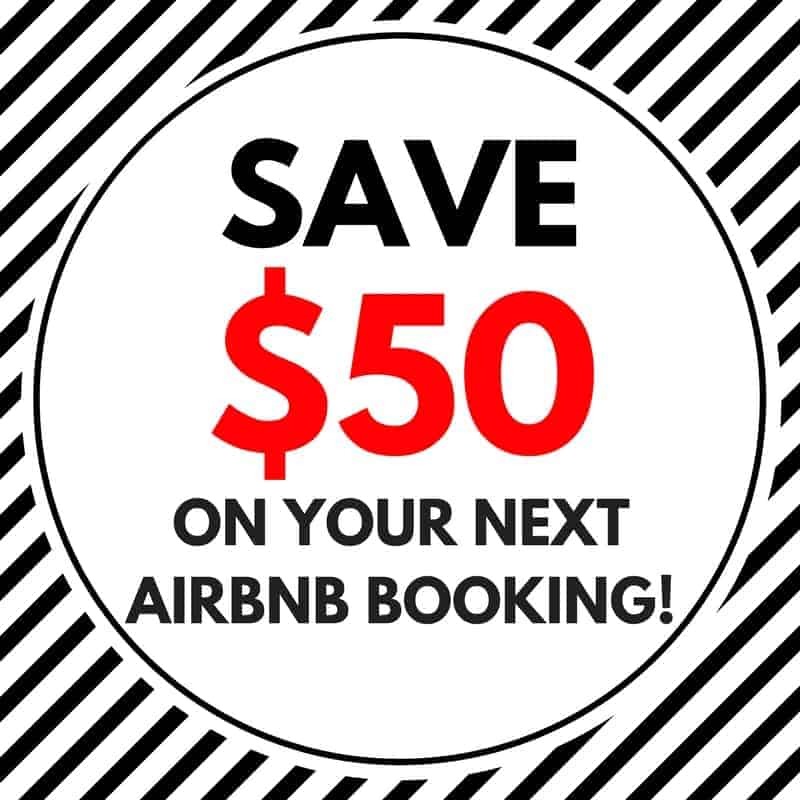 It’s always a good idea to bundle your air, hotel, and transfers together into one package to save money. Also, it’s much easier to do it this way. The last thing you want to do when you arrive at the airport is worry about transferring to the resort, which could be a couple of hours away. I also find that the best deals can be found during shoulder season or in the off season. Do your research to make sure the weather will still cooperate during these times. For instance, hurricane season in the Atlantic happens between April and November, so you’ll need to decide if you want to run the risk of traveling to several Caribbean islands. Take a little bit of time and do your due diligence in reading up on the resort. Go to Tripadvisor and read the reviews on your hotel. 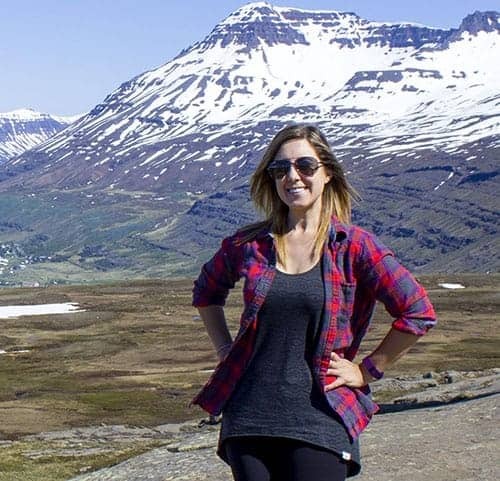 You might find both positive and negative experiences, but more importantly, travelers will share their favorite aspects of the property. They’ll share the hidden features and spots around the resort. 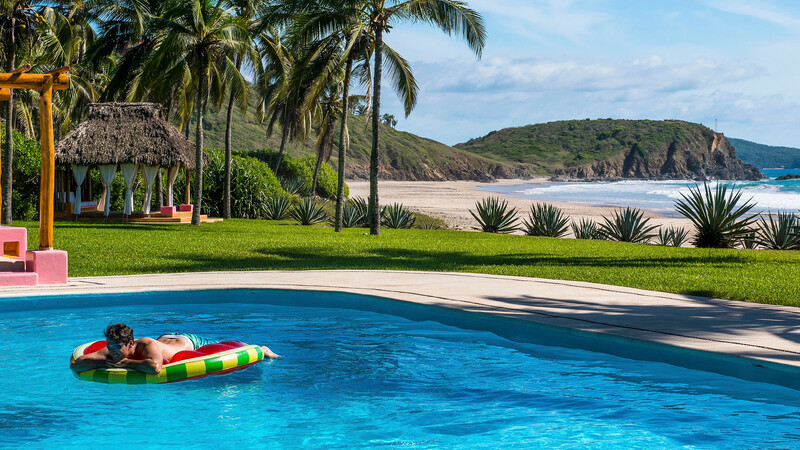 You can use these all inclusive tips and tricks to your advantage to help plan your holiday. Also, be sure to go to the webpage of the hotel itself to read up on the various activities and amenities that are offered. You might discover that there’s a particular water sport you’d like to try, for instance. Learn about the restaurants on the resort and whether or not you need to make a reservation for the a la carte ones. 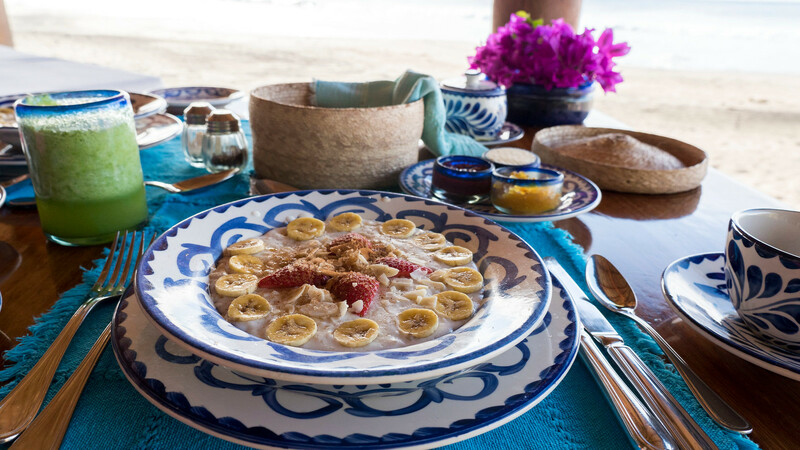 Make the restaurant reservations upon your arrival at the resort. You might be tempted to throw a couple of bathing suits, tank tops, and shorts into a bag, but you’ll need a few more outfits than that. Remember to pack some nicer clothing to wear in the evening, such as a sundress or a collared shirt. Don’t forget to bring a sweater for the evenings as it can get a little bit chilly outdoors, even in tropical climates. It’s also a good idea to bring a rain jacket or an umbrella because there’s always the chance it could rain (as much as we don’t want to think about that!). I find that this is one of the simplest and most important all inclusive resort tips and tricks because you won’t have a ton of access to clothing at the resort, other than in the shops on the property. 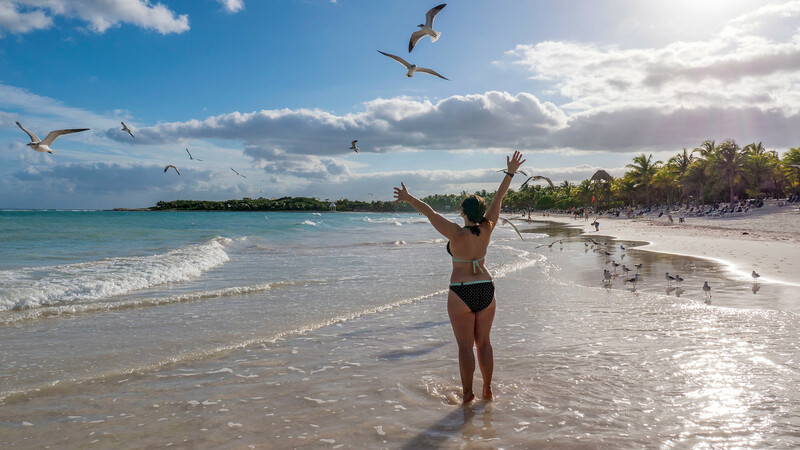 One of my favorite all inclusive tips might seem like a no-brainer, but it’s easy to overlook. If you run out of sunscreen on the resort, you’ll likely have to pay a premium to replace it. The resort knows that it has a captive audience and will overcharge for toiletries like sunblock. It’s best to bring more than what you think you’ll need with you. While you’re at it, don’t forget to bring some bug spray, too! There might be mosquitoes on your resort, and you don’t want to run the risk of catching zika virus or another virus that mosquitoes transmit to humans. Even though you won’t likely be doing any risky activities on the resort, it’s always a good idea to bring a first aid kit. Pack Advil, Imodium, Pepto, and even Benedryl. You might have an allergic reaction to something in an unfamiliar environment. The most common ailment at a resort is a gastrointestinal illness. By bringing Imodium or similar treatments for tummy troubles, you’ll feel better without ruining your tropical holiday. Bringing a small first aid kit is one of my most recommended all inclusive resort tips and tricks to save money. Yes, you’ll be able to buy these medicines at the resort, but they’ll likely be way more expensive than at home. Unlike on cruise ships where gratuities are automatically added to your bill, tips are at your own discretion at the resort. Plan ahead by bringing small bills to tip everyone who helps you, whether it’s at the bar, at restaurants, or for the cleaning staff. Find out which currency is accepted at the resort (it isn’t always US dollars). Plan ahead by bringing the local currency, whether it’s for tips or excursions outside of the resort. It’s always a good idea to tip everyone who helps you. The staff at resorts don’t make a lot of money, and a tip can make a world of difference to their livelihoods. While I haven’t done this before, one of the biggest all inclusive resort tips and tricks that frequent travelers suggest is bringing your own cup. Typically, the drinks at resorts come in small cups. By bringing your own cup, you’ll reduce your amount of trips to the bar, whether it’s for an alcoholic beverage or ice water. Purchase an insulated cup, such as a Bubba cup, ahead of time. Your drinks will stay colder at the beach for longer, and you won’t waste your time by making several trips to the bar. It might be tempting to eat and drink everything in sight. However, you’re only going to end up with a stomach ache or getting sick, and neither of those are great options while you’re on vacation. Let me be the voice of reason. Don’t eat too much. Don’t drink too much. Indulge a little bit, but in moderation. You don’t want to pile too much food on your plate and waste half of it. You also don’t want to spend half of your vacation passed out from too much sun and too much alcohol. Enjoy everything because you’re on vacation. But, don’t overdo it! While you’re there to have a relaxing vacation on the beach, it’s always a good idea to see more of the place you’re visiting. Leave the resort. See the natural surroundings or nearby cities of the destination. All inclusive resorts are gigantic, man made structures, and generally don’t represent the country you’re visiting at all. By leaving the resort, you’ll get to learn something new, interact more with the people living there, and support the local economy. 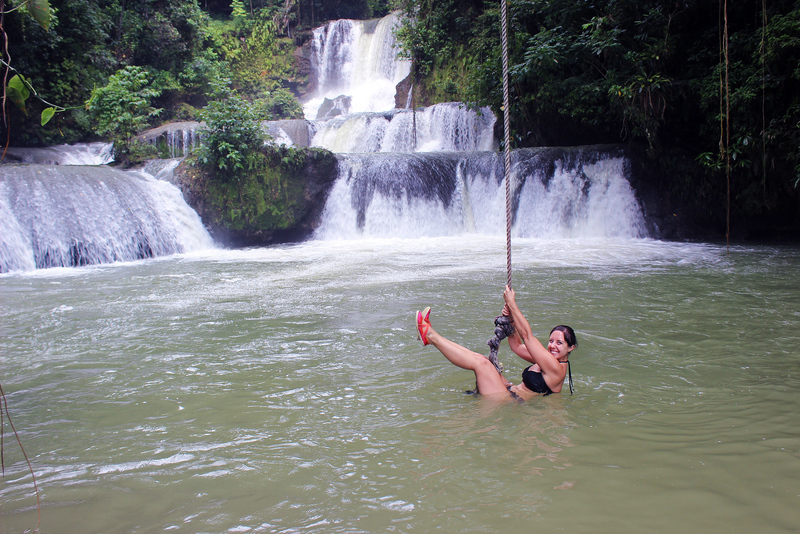 I’ve taken some memorable trips when staying at resorts, such as visiting beautiful waterfalls in Jamaica, experiencing a rare bioluminescent lagoon, and eating at a spectacular roadside vegan hut. Click here to check out thousands of amazing tours in your destination of choice! Out of my entire list of all inclusive resort tips and tricks, this one is probably the most obvious. I’m the kind of person who rarely relaxes. I’ve always got something on the go. 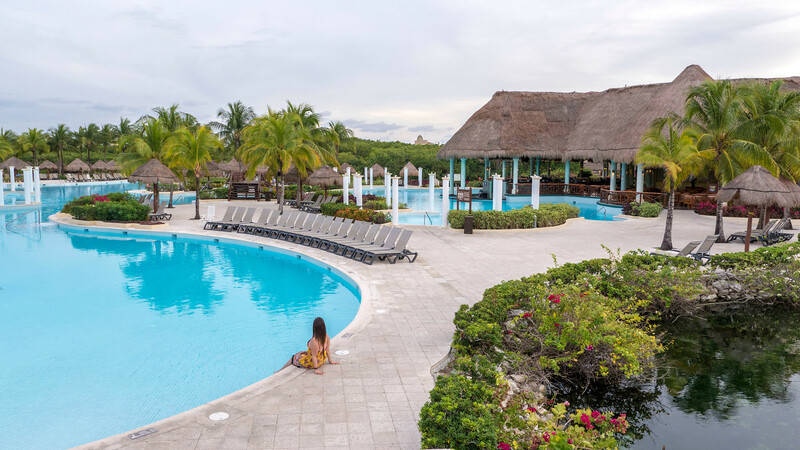 An all inclusive resort is one of the best opportunities to rest and relax. Curl up with a good book on a lounger by the pool. Soak up the sunshine on the beach. Float around in the water without a care in the world. After all, it’s a vacation and the purpose is to relax in a beautiful place. Enjoy every moment. I hope you’ve found these all inclusive resort tips and tricks useful and informative. 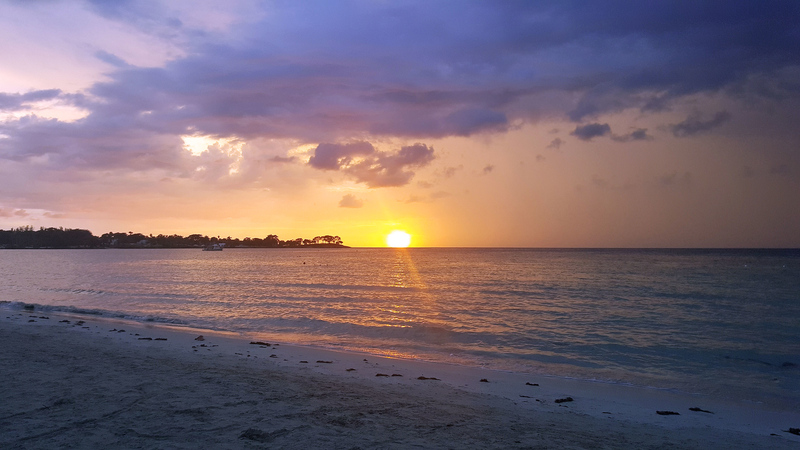 If you’re interested in reading some first hand reviews of all inclusive resorts, check out our trips to the Grand Palladium Riviera Maya in Mexico, the Riu Palace Tropical Bay in Negril (Jamaica), and our day trip to the Club Med in Guadeloupe. This article is a collaboration with Dealchecker.co.uk. What are your best all inclusive resort tips and tricks?